Environmental Case No. State Clearinghouse No. Project Description: Chinatown Station Owner, LLC, the Applicant, proposes to develop a mixed-use transit-oriented residential and commercial project (the Project) located on an approximately 4.92-acre parcel at 129-135 W. College Street and 924 N. Spring Street (Project Site). The project Site consists of an irregularly-shaped parcel extending from W. College Street on the south to Llewellyn Street on the north. To the southeast the Project Site is bordered by wholesale commercial/light industrial uses, to the east/northeast by Rondout Street, and to the west by N. Spring Street. The Project Site is currently vacant and is periodically used for parking by nearby businesses. The Project would develop up to approximately 642,239 square feet of floor area (approximately 3:1 FAR) within six residential buildings above a two-level podium structure and spatially arranged around a series of garden courtyards. The Project includes 770 dwelling units, including 355 studios, 360 one-bedroom units (including 10 townhomes), and 55 two-bedroom units, and up to approximately 51,390 square feet of retail, restaurant, and other commercial space. The largest of the four retail spaces (37,520 square feet) would front onto W. College Street at the southern end of the Project Site and is programmed for use as a market, including a grocery store, restaurant, coffee shop, and juice bar. The three other commercial areas would front onto Spring Street and include: (1) a 2,970-square-foot retail space; (2) an 1,880-square-foot health club spa; and (3) a 9,410-square-foot retail space potentially including two food retail spaces, a coffee shop, an ice cream store, and a barber shop. The Project’s public open space includes two plazas and three outdoor “pocket” seating areas totaling approximately 15,697 square feet. Vehicle parking totaling 1,179 stalls would be accommodated within one-and-one-half levels of subterranean parking and two above-ground podium levels. A total of 899 bicycle spaces would also be provided. Based on the analysis included in the Draft EIR, the Project would not result in significant and unavoidable impacts. All potential impacts would be less than significant or mitigated to less than significant levels. 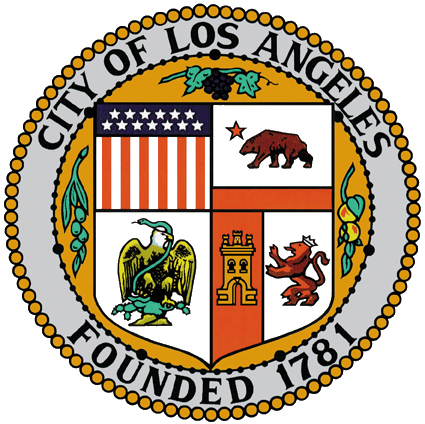 The Draft EIR and the documents referenced in the Draft EIR are available for public review at the City of Los Angeles, Department of City Planning, 200 N. Spring Street, Room 750, Los Angeles, CA 90012, during office hours Monday - Friday, 9:00 a.m. - 4:00 p.m. Please contact the Staff Planner listed below to schedule an appointment. The Draft EIR can also be purchased on CD-ROM for $5.00 per copy. Contact Johnny Le at Johnny.Le@lacity.org to purchase copies. If you wish to submit comments following review of the Draft EIR, please reference the Environmental Case No. above, and submit them in writing by Monday, April 30, 2018 no later than 4:00 p.m.